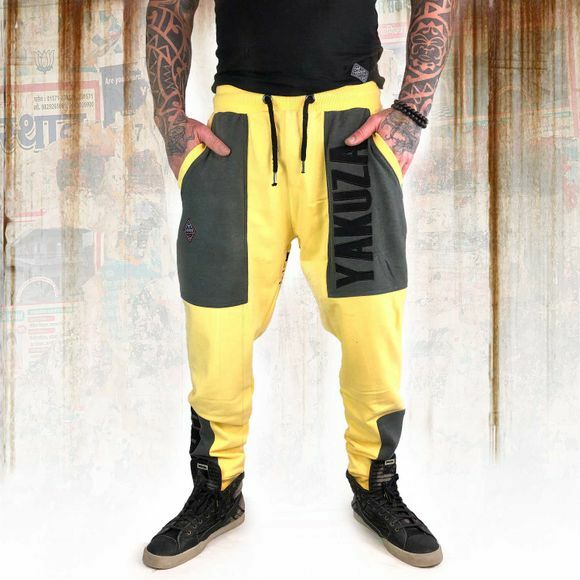 YAKUZA 893 men's bicolor sweat pants from the Rehab Line range. 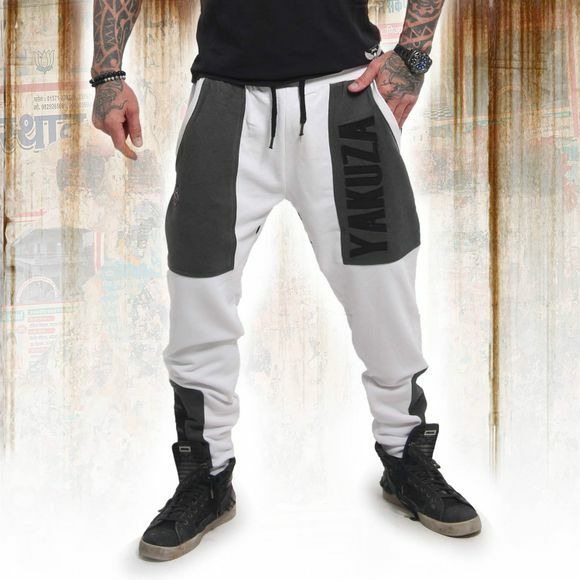 A pair of complex, relaxed cutted joggers featuring different colored panels, an elasticated, drawstring waistband, three waist pockets as well as zip up leg gathers. 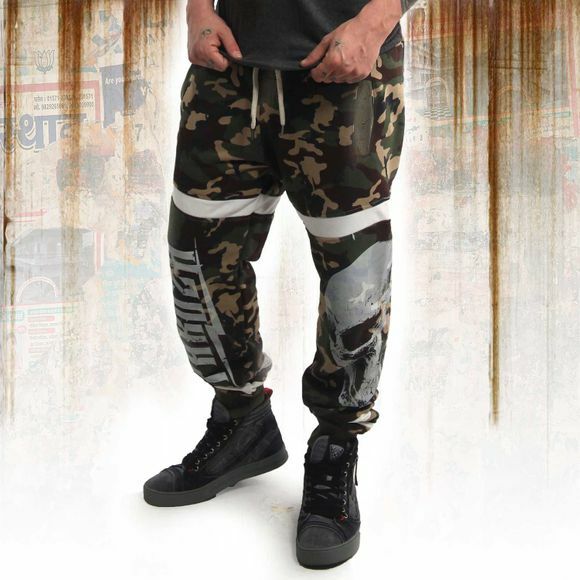 The joggers are finished vintage look print design and a woven Yakuza Original tab as well as a Yakuza leather tab on the back pocket. Extremely comfortable to wear thanks to supersoft cotton. Please watch out for our size specifications and the washing instructions below.